My fiance is cosplaying as Waluigi for ACen next year. I wanted to get some sort of paint/makeup for his nose (pink) and under his eyes (light blue). His face is fairly oily, especially his nose. Can anyone direct me to good brands and where to buy them? 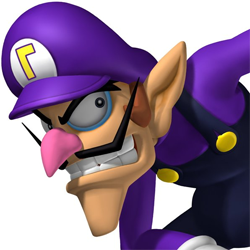 Here's a reference of Waluigi's face for the colors I want. Krylon's water based make ups are pretty good, I use em for everything! Also Mehron's Paradise line is awesome. I think I might be going with the Mehron Paradise Makeup AQ. I would be buying the 1.4 oz size in both pink and light blue, as well as the Barrier spray (assuming that's the kind I would need to set it) and either the foam applicator or some brushes. Would any sort of make up remover take it off or should I buy one from them? If so, which would you recommend?